I was asked a question by a WOW reader. What is interesting about her question is that I had been pondering the same question myself. The short answer to this question is, yes. First, let me go back a few blog posts when I mentioned that our homestead isn’t happening in the foreseeable future. In that post I said I would discuss this later and I think now is an appropriate time. While our plan has not changed, the timing of our plan has now changed. 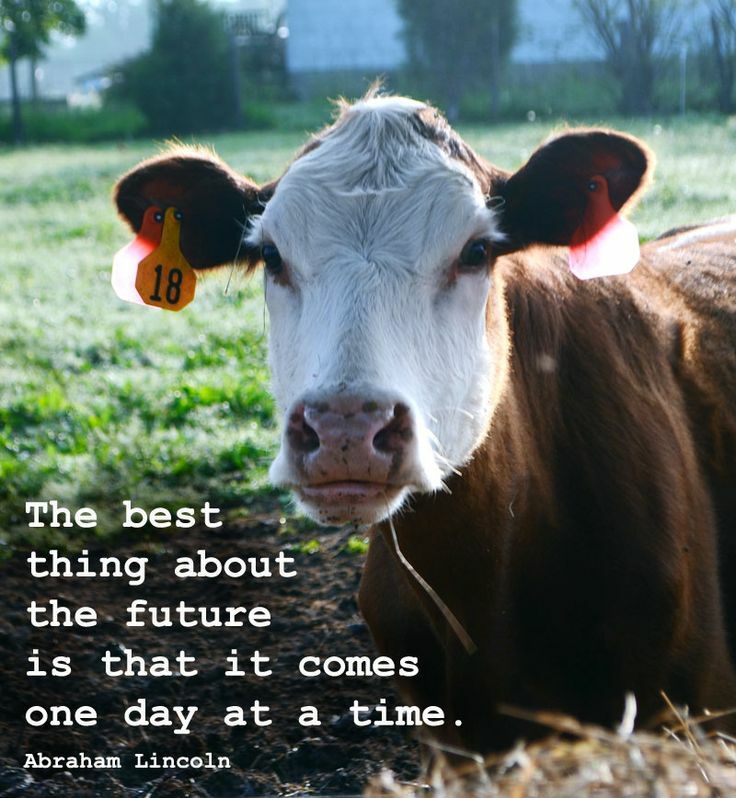 Hubby and I would very much like our own little farmy to happen sooner rather than later, but sometimes life and the responsibilities of life have to take the lead. Our hope had been to find property by this fall, but upon further inspection and introspection, we decided that it would make more sense for us to wait several months before we begin our property search again. Not that I haven’t perused the real estate sites from time-to-time, but we won’t be making any property shopping trips in the near future. Our last property search made us much more aware of some things that we needed to take care of at home before we could move forward. Much like our visit to the “farmy” has made me much more aware of things to look for and think about as we move forward in finding property. For example, we have struggled with the amount of land we should purchase. Our visit to the “farmy” gave me a much better picture of how we could set things up on less land. Maybe I don’t need to look at the 30 acre pieces of property, even though most of those 30 acres are in trees. What if we find 5 acres of land, is that sufficient? 10 acres? How many acres of land do we need in trees if we want to use wood as our heat source? How many acres of pasture? My visit and conversations with Cecilia has caused me to seriously reconsider some of our land requirements. I had also envisioned spreading things out more on our little farm, but now see how having things closer to the house makes much more sense. A more compact farm makes complete sense to me. Less steps to the barn. Less steps to the garden. Less steps to the orchard. We had also been concerned about having too much open land. In our minds open land means more work for us. That thought process had changed for me now. More open land means more pasture for grazing. 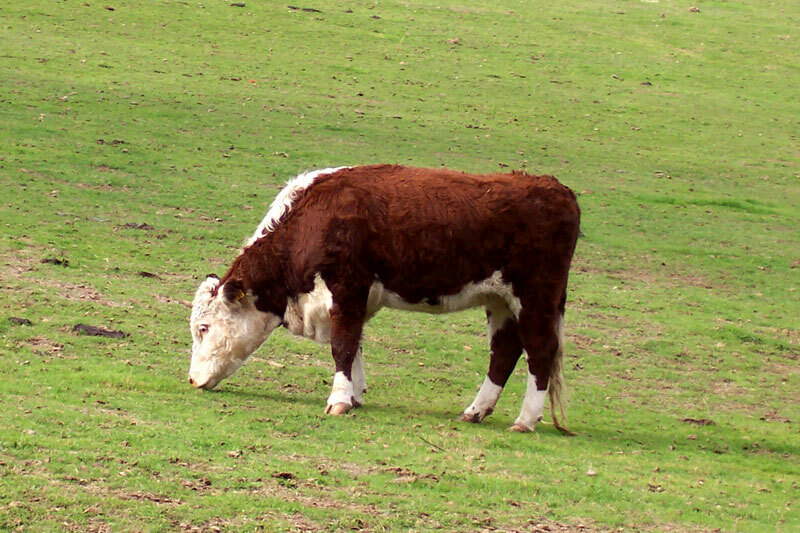 If we want to raise pasture fed meat, then having more open land is a good thing. I feel like I have a much better vision of what it will take for us to create a successful farm for our family. I better understand the importance of keeping things compact. I see the amount of work it takes to run a farm and having everything close will help us run our farm efficiently. Finding ways to make work easier is key. 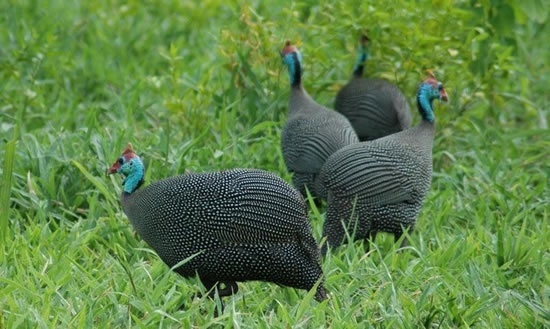 This was also the first time I was able to see guinea fowl at work. They are indeed noisy birds, but I love the noise they make. I love the fact that they move all around the farm, hard at work taking care of bugs. As I stated in my last blog post, I now want a cow. I didn’t want a cow before. They are big animals and the bigger the animal, the more the feed. However, I hadn’t considered how milk from cows can be fed to other animals such as chickens and pigs. I hadn’t considered how much good compost a cow can produce. I didn’t realize how easy it is to make wonderful, creamy butter. Because I hadn’t considered a cow on our farm, I didn’t think about the fact that a calf could potentially be raised for meat. Cows have great purpose on a farm. The thing that probably changed the most for me is how my desire to live the homesteading lifestyle grew. Being there and participating in a small way made that fire burn hotter and I am armed with more knowledge that will only help in our little farm’s success. Now, as I peruse the real estate sites, I’m armed with more information, a better vision and knowledge that will help us find the right property for our homestead. A slower pace to our future than we had first hoped, but we’ll get there one day. I sure hope that is the case Laura and you are right, I have a great mentor!